A gemach? What’s a gemach? A gemach (sometimes written “g’mach”) is the Jewish community’s name for a special collection of items that can be borrowed at no cost or for a small fee for a short period of time. The term is an abbreviation of the words “gemilus chasadim”, acts of kindness. Gemachs are usually started by one or a few people who see a need and get organized. A gemach might be in a private home, synagogue, or community center. You can find gemachs that focus on practically any type of items, like toys, wheelchairs, or clothing patterns. I just got an email announcing a GPS gemach. But the most popular kind of gemach by far is the kind that offers items for weddings. The gemach is an idea that’s centuries old, but gemachs are being rediscovered by couples planning their weddings. Gemachs cut wedding costs – and they also serve the larger goal of cutting consumption. Whether or not you borrow anything from a gemach for your celebration, consider donating items from your wedding to a gemach near you. Most gemachs won’t be found online. To find one in your area, contact a few local synagogues or a Jewish community center. Jews United for Justice (JUFJ) in Washington, DC held its annual award dinner last week, which makes this a good time to give a shout out for JUFJ’s event planning guide, Green & Just Celebrations. 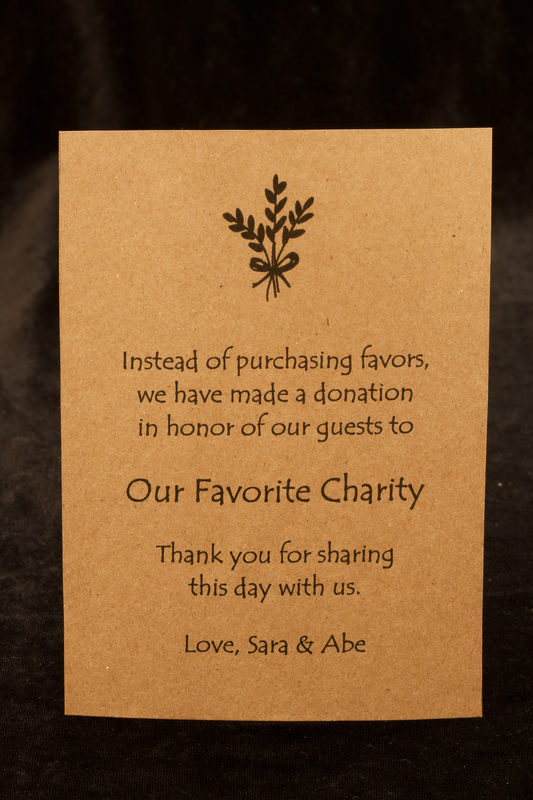 The guide goes beyond the basic buy-local green wedding tips. JUFJ helps you dig deep, so that your once-in-a-lifetime wedding purchases can be as green and just as you can make them. Among the topics covered are buying rings and negotiating the venue contract. Most of the vendors in the buying guide are local to the Washington, DC area, but some are national organizations that you can find online. And the ideas work where ever in the world you raise your huppah. David Cohen, co-founder of the Advocacy Institute. Carla Furstenberg Cohen, civil rights activist and founder of the independent Washington, DC bookstore Politics and Prose. Carla passed away a couple of weeks before the award ceremony. Gustavo Torres, founder of CASA de Maryland. Elissa Froman, legislative associate for the National Council of Jewish Women. As a student at The George Washington University founded the GW Jewish Progressive Political Association. See our list of unique Jewish wedding vendors in the Washington, DC / Silver Spring area.